The west end of row houses are where most of the condemnation notices are posted. 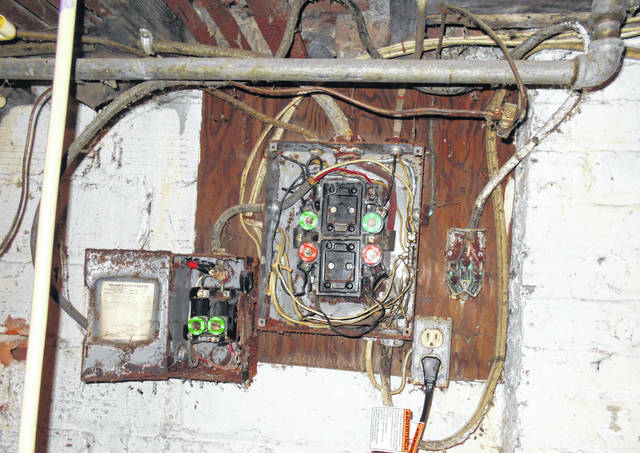 Exposed wiring creates a risk for building occupants. The lack of ceiling covering exposes second-floor plumbing. LIMA — Tucked away just north of downtown Lima, 44 properties make up the Superior Court apartments, a set of blue rowhouses accessible only by alleyways. Out of the 44, 12 of those apartments have been declared “unfit for human habitation” because of dangerous conditions. Six more condemnation notices are in the mail being sent to the owner. 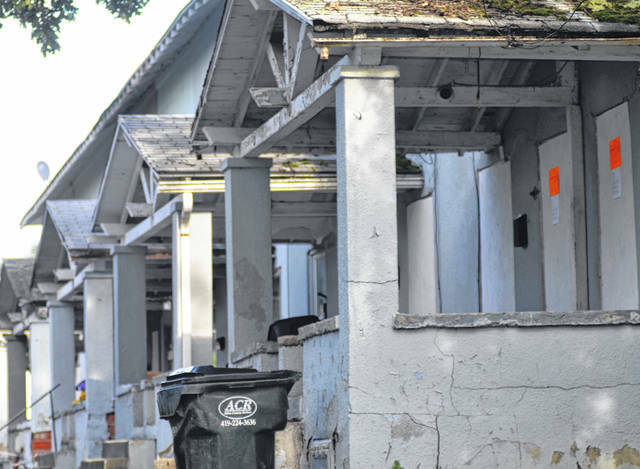 While the City of Lima often inspects properties for code violations, it’s rare when the city becomes involved with such a concentrated example of a landlord failing to take care of the homes of his tenants. 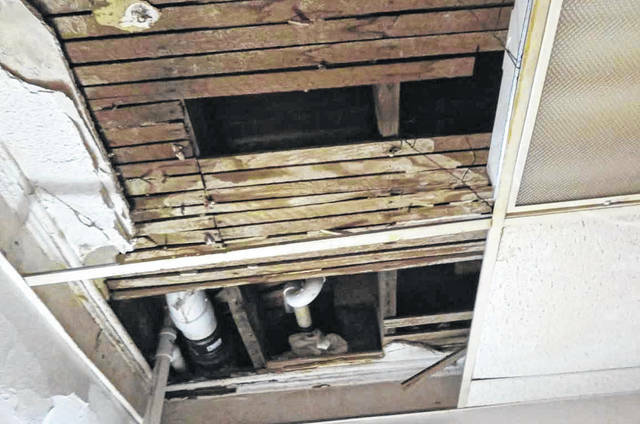 Crotty said the city had been called by a single resident to inspect sewer line problems, but when inspectors arrived, neighbors began to call them inside their apartments to look at the conditions left unfixed. Inspectors found multiple issues of damaged ceilings, exposed wiring and in some cases, residents living without water service. More than a third of the houses, built in 1919, are now condemned. ABR Investments purchased a number of Superior Court properties for $150,000 this past April from Richard and Rosella George, who had held the properties since 2003. Multiple properties on Elida Road, Homeward Avenue and another set of rowhouses on Haller Street are also registered as owned by the Georges. Once a property is declared unfit for habitation, tenants are instructed to vacate the building. Crotty said residents often find a place with a family relation. Those without the option are put in contact with West Ohio Community Action Partnership or other homeless services. Those who remain in condemned buildings can be charged with squatting, which can result in 180 days in jail, a fine up to $1,000, or both. Superior Court neighbors said that some individuals have chosen to live within the condemned apartments despite the lack of water service in the building. Crotty said there are other instances of individuals living in unhealthy conditions throughout the city, but most tenants remain tight-lipped because they are worried about being evicted by landlords. For those living in low-income housing, tenants often rent buildings without year-long leases, which eliminates most legal protections for renters. “In this case, a lot of these people are in lease-to-own agreements, and they didn’t get what they signed up for,” Crotty said. Since the inspections, the city has been in contact with Radabaugh throughout the condemnation process. For renters, Crotty encourages they seek out annual lease agreements, which helps if there are legal disagreements with landlords. “You shouldn’t accept less than safe living conditions,” Crotty said.